The estimated cost of maintenance and improvements of the District for fiscal year 2016-2017 is anticipated to be $382,720. A map that specifically identifies the area is on file at the office of the City Secretary at the Cedar Hill Government Center. 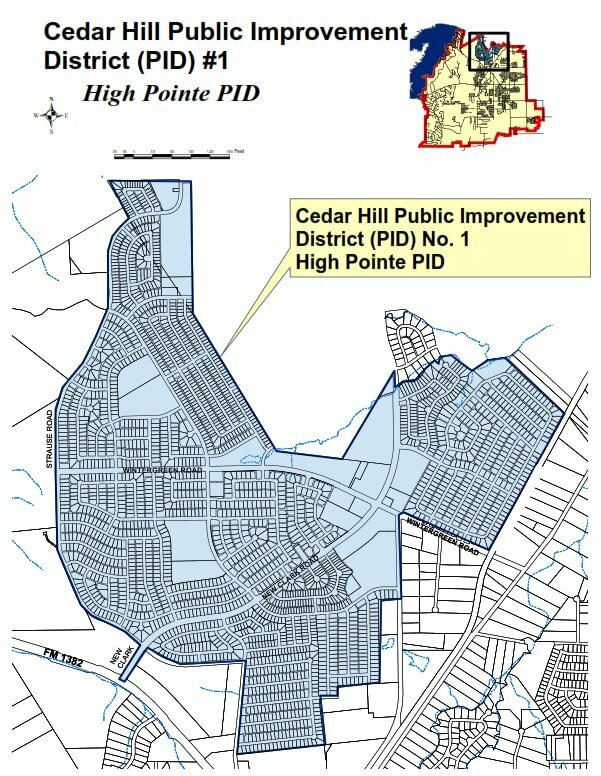 The area included within the proposed Public Improvement District is generally known as the High Pointe Development. Citizens may present written or oral objections at the Public Hearing. The Public Hearing is not limited to those persons that reside within the High Pointe area.